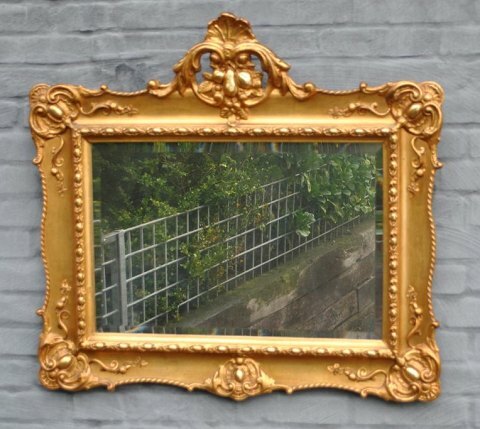 WorldAntique.net - Danish gilded mirror, new rococo, 19th century. 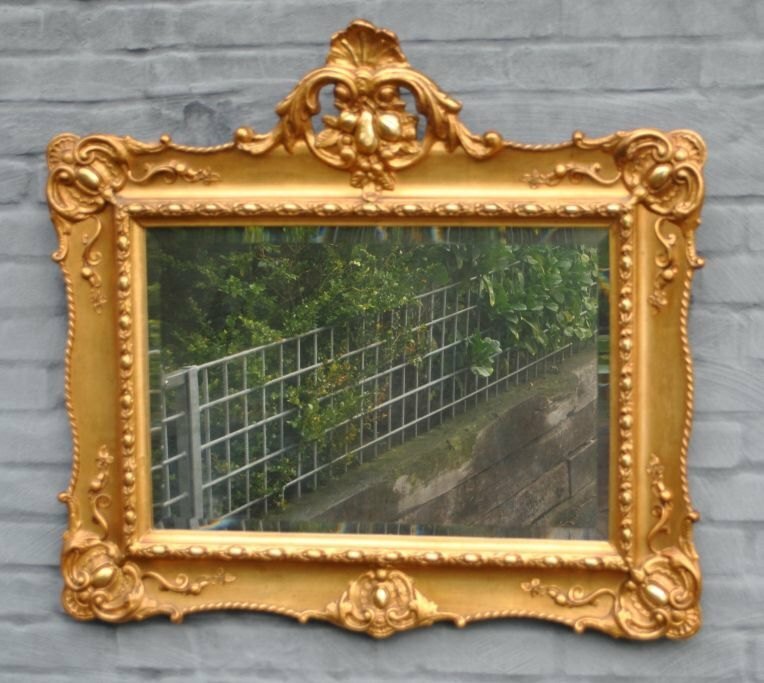 Danish gilded mirror, new rococo, 19th century. Top piece decorated with fruits. With facet mirror. 79 x 85 cm.